Chickens and ducks are the two most predominant domestic bird species in China, and they are also the most economically important land fowl and waterfowl as sources of meat, eggs, and feathers. H9N2 AIV was first isolated from turkeys in Wisconsin (USA) in 1966 and was later first identified in chickens in Guangdong province, China in 1994 [1, 2]. Subsequently, viruses of the H9N2 subtype have quickly spread to most areas of China. Currently, H9N2 AIVs have become prevalent among the domestic poultry populations in several Asian countries and are considered to be potential candidates for a future pandemic [3, 4]. Additionally, the H9N2 influenza virus has donated six internal genes to the H7N9 and H10N8 AIVs, which have recently infected humans in China [5, 6]. Furthermore, H9N2 AIVs have been reported to infect pigs and humans, resulting in severe and even lethal cases in humans [7, 8, 9, 10]. Although there is currently no evidence of human-to-human transmission of H9N2 AIVs, the results of serological surveillance studies found higher anti-H9 antibody positive rates in serum samples collected from poultry workers [10, 11]. Moreover, there is evidence showing that the continual transmission of H9N2 AIVs between chickens and aquatic birds facilitates the generation of reassortant viruses with the potential to infect humans . This emphasizes that the threat of H9N2 AIVs to public health is a growing concern [10, 13]. H9N2 AIVs continue to circulate in chickens despite the implementation of a long-term vaccination program . Moreover, ducks have been reported to be tolerant to H9N2 AIV infection, since infected ducks typically do not exhibit any clinical symptoms; however, ducks are able to shed the virus and transmit it to other species and can be for almost all types of influenza A viruses . In addition, ducks typically also serve as the natural reservoir for HPAIVs and display no clinical signs following infection, whereas chickens are more susceptible to HPAIVs [14, 15]. Studies have shown that many immune-related genes are involved in the anti-influenza responses of ducks, including innate immune, cellular immune, inflammatory and chemokine genes [16, 17, 18, 19]. Ducks have been found to mount more active and robust cellular immune responses compared to chickens exposed to H9N2 AIV by the intranasal route . Following infection with HPAIVs, ducks are able to initiate a faster but lower inflammatory cytokine response followed by the activation of major pattern recognition receptors (i.e., TLR7, RIG-I, and MDA-5) and a persistent cellular response, whereas chickens generate excessive but delayed inflammatory cytokine responses followed by inadequate cellular immune responses, which may result in a higher pathogenicity of the virus in chickens . Other studies have shown that ducks can initiate an immediate and robust response to the HPAIV, A/Vietnam/1203/04 (H5N1), whereas they generate a minimal response to the LPAIV, A/mallard/BC/500/05(H5N2) . Chemokine gene expression is also significantly higher in the lung tissues of ducks infected with HPAIV, compared to those infected with an LPAIV at 1 day post-infection (dpi) . So far, the mechanism for duck anti-influenza is still in dark and has been shown complicated as different results were observed due to different virulent virus strain and viral exposure routes. Ducks usually have no clinical signs after most LPAI infection, but some H5 HPAIVs have been found to be highly pathogenic (100% lethal) and replicate systemically in ducks . Thus, the current knowledge of AIV infection in ducks should be expanded from respiratory and intestinal infection to systemic infection [23, 24, 25, 26]. However, the immune response generated in ducks during systemic infection remains poorly understood. Several studies have evaluated AIV tissue tropism in ducks and turkeys via the intravenous inoculation of AIVs; however, the immune response was not determined following intravenous infection . Some researchers showed that ducks had a deficit in adaptive antibody to AIV because of genetics-linked characteristics, which may contribute to weak antibody responses and the perpetuation of the virus in this animal reservoir . In this present study, ducks really showed the weaker antibody responses including delayed seroconversion and lower HI antibody titers than chickens by intranasal infection route (viral natural infection),which is consistent with previous findings. However, by intravenous infection route (viral systemic infection), ducks inversely could produce robust antibody responses than chickens with antibody levels at early time after infection (2, 2.5, 3dpi). In previous studies, ducks could also show strong and sensitive antibody responses when exposed to attenuated viruses [32, 33, 34]. The specific antibody response could be detected as early as at 3-6 dpi in ducks by intranasal or intramuscular immunization with DTMU (duck Tembusu) attenuated viruses . A marked increased level of DEV-specific IgG antibodies in duck serum were detected as early as at 6dpi by orally infection with virulent DEV (duck enteritis virus) Chv strain  or byvaccinated with DEV Cha strain . 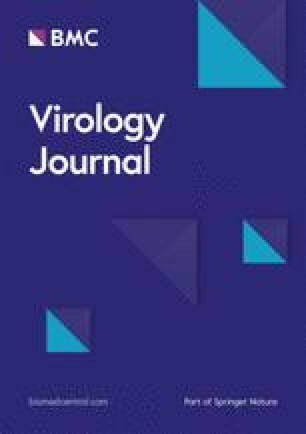 These results indicated that ducks actually could have strong ability in their antibody response when exposed to virus infection or vaccination by some routes, which were also evidenced by our findings of ducks could produce higher antibody response than chickens at early time than chickens by intravenous infection of H9N2 AIVs (Figs. 2 and 3).